Before we get into this specific recommendation, lets do a quick rundown of the various tequila offerings you are likely to see at the liquor store. The three most common tequila varieties are silver, reposado, and añejo. Silver, or Blanco, tequila has not been aged, and is usually made entirely of the blue agave plant. Since it has not been aged, it generally emits a very strong blue agave flavor, and is usually clear. Reposado, or “rested,” tequila has been aged for 2-12 months in white oak casks, and therefore has a more mellow agave flavor combined with some oak qualities. This tequila generally has a pale golden color. Añejo, or aged, tequila must be aged for more than a year and in smaller batches, and because of this it has a very heavy oak flavor and more complex qualities. Of the three it is the most expensive, but it is worth it. Quickly, an important side note: “Gold” tequila, as most commonly seen with your old friend Jose, does not fall into any of these three categories. Gold tequila is only required to incude 51% blue agave, so really it is just barely tequila. Never, ever drink that again. 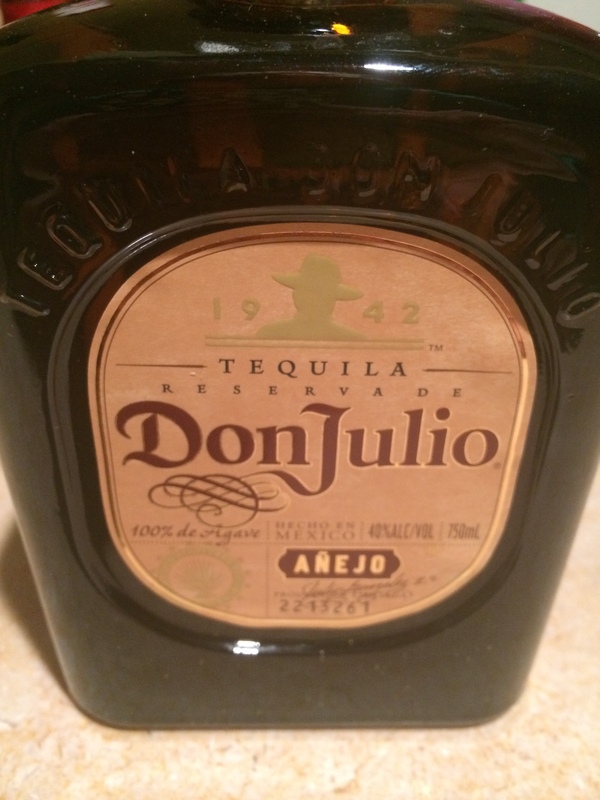 Now, back to Don Julio. 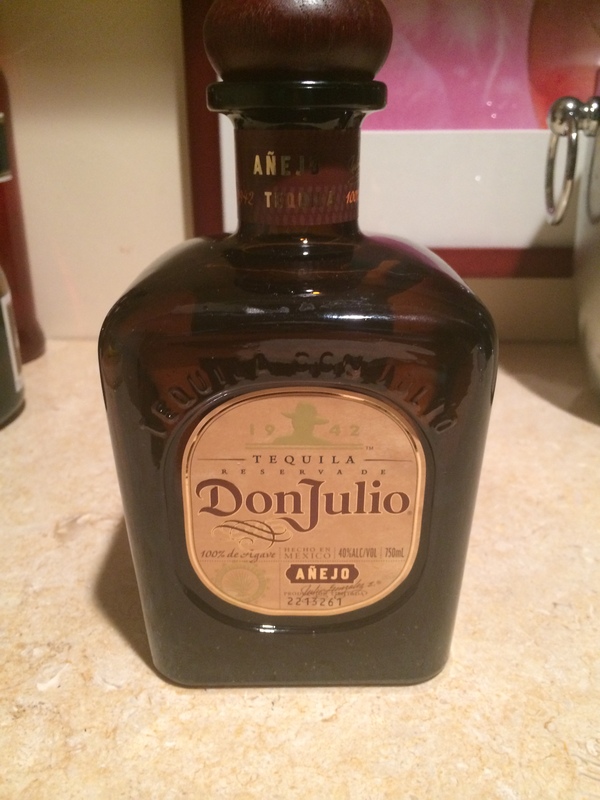 Don Julio is one of the most widely distributed brands of tequila in both the US and Mexico, but they have done an excellent job of maintaining a very high quality product. The company was initially founded in 1942 by the then-17 year old Don Julio Gonzalez-Frausto Estrada, but at that point the tequila was only made for his friends and family. Urban legend states that he spent the next 40 years perfecting his craft, before finally beginning to commercially sell the tequila in 1987. It is often considered the world’s first luxury tequila. We are specifically recommending their Añejo tequila, because we believe it is the best tequila you can buy for under $100 (a bottle will run you about $60). This truly is luxury tequila, and although you certainly can mix it into drinks, it is so smooth that we actually recommend sipping it straight. 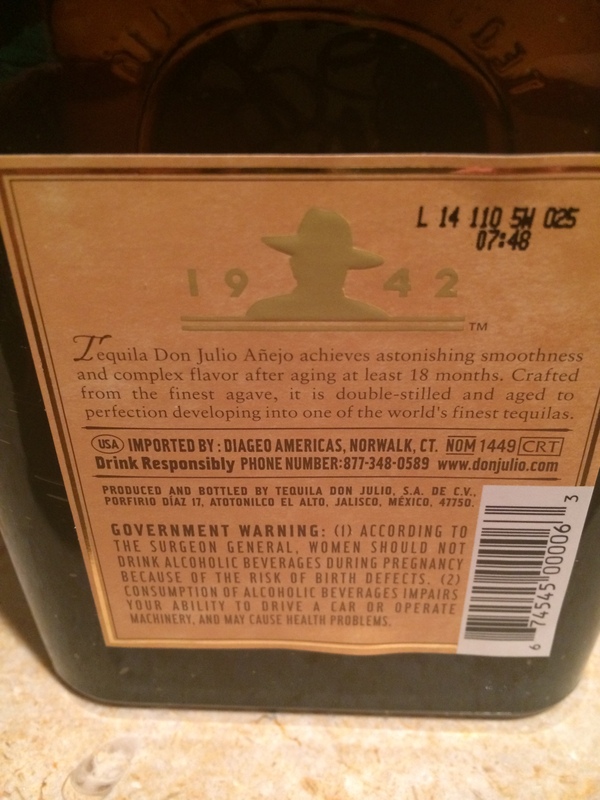 Don Julio Añejo has been aged for 18 months in white oak barrels, and has a very complex flavor including notes of pepper, caramel, chocolate, and coffee. It really is something special, and if you have the occasion or ability to try it, we highly recommend you do. Have a great weekend everyone, and as always, drink well and drink responsibly! This entry was posted in Friday Liquor Spotlight, Liquor and tagged anejo tequila, cocktails, don julio, drinks, liquor, luxury tequila, mixology, reposado tequila, silver tequila, tequila by kellyatthebar. Bookmark the permalink.